We’re here at the Westgate and the Las Vegas Convention Center for all the SEMA, Collision Industry Conference and Repairer Driven Education action today through Friday. Clint Marlow of Allstate will present the latest from the Repairer-Insurer Relations Panel at 8:30 a.m. The Advanced Technologies Committee presentation at 9:30 a.m. Tuesday, Nov. 1, by Jack Rozint of Mitchell and Fred Iantorno of CIECA. Given CCC’s major announcement in September of its EMS to BMS switch and an unrelated proposal to have CIECA work on an environmental reporting standard, there should be some interesting discussion here. 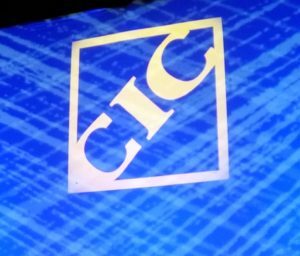 Stephen Regan of the Governmental Committee will examine telematics and data privacy at 10:20 a.m.
CIC will welcome Painters Supply and Equipment’s Guy Bargnes, the new chairman, at 11:20 a.m. Nov. 1. We’ll also providing live updates from the Chip Foose SCRS-Capital One Spark Business event 3-5 p.m. this afternoon. Appearing with Capital One small-business credit card head Buck Stinson, Foose will discuss growing a small business during “A Business Fueled by Passion – Talking Shop with Chip Foose” in the North Hall Upper Level, Room N258. Find out how to get tickets here. Repairer Driven Education Day 1 also runs from 9:30 a.m.-5 p.m. today. Find out more about that lineup here. Follow along with all the action below or on Twitter with @repairerdriven, #cicsema, #semashow and #sema2016.